I started my Executive Master of Business Administration (EMBA) programme when my daughter was one month old. With the help of a supportive partner and employer, it was both manageable and essential to my career advancement. 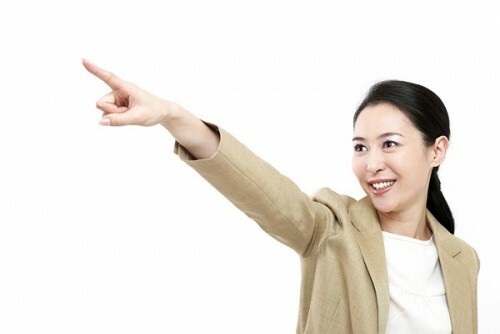 There is a slew of research about the positive effect female leaders have on an organisation. Firms with more gender-balanced boards have significantly higher return on shareholder equity. Women are now responsible for 85 per cent of all consumer purchases. And economists predict that the impact of women on the global economy over the next decade will be at least as significant as the population of China, if not more. It is truly a business imperative for organisations to bring in more female leaders. There are a number of ways to get more women into senior management, but one of the most comprehensive is through an MBA education, given the skills, confidence and network it provides. According to the EMBA Council, “a salary increase on completion of an EMBA is nearly guaranteed. In fact, the most recent EMBA Council report shows students quoting an average salary increase of 23 per cent after graduation”. Beyond the financial benefits, graduates report increased confidence, ability to think and manage strategically, and a deepened understanding of business fundamentals. These benefits are especially needed for women who still statistically earn less than men and are still under-represented at the highest levels of organisations. In my three years recruiting EMBA students in Singapore, the primary concerns of women applicants are typically timing and schedule. Mothers tend to apply when their children are in school as they are relatively independent and able to understand, and even appreciate, that mums have to study too. In addition, the course schedule is also a critical priority. An attractive MBA programme for many women would be one that does not require time away from work or international travel, and where students have Sundays off. This format allows women to keep their careers and families on track while they study. Any working professional considering an MBA or EMBA should look closely at the schedule and talk to alumni about what to expect in terms of time commitment and how they managed. Economies, organisations and families all benefit from women being able to advance in their careers. One of the most proven avenues for career advancement is through additional education. However, deciding to return to school is a difficult decision for anyone as it involves an investment of time and resources for the student and the family. The best we can do is support our friends, colleagues and spouses in this life-changing experience. No. But being a mother and a manager isn’t easy either, and women have been handling those roles with grace for years. I think more women could be up to the challenge of an MBA with a little encouragement and the knowledge that the returns will far outweigh the challenges. Article by Easter Weiss, M.Ed, MBA. She is the program director for the University at Buffalo Executive MBA available in Singapore through a partnership with SIM Global Education.